As the modern day “military-industrial complex” was being built during the early stages of the Cold War, President Dwight D. Eisenhower was said to be pessimistic about advance planning for any nuclear exchange with what was then the Soviet Union. “In preparing for battle I have always found that plans are useless, but planning is indispensable,” World War II’s Supreme Allied Commander and five-star general once said. The point is well-taken: Even the best-laid plans can fall apart in moments, but if you don’t make them, you won’t even have resources to deal with emergencies when they occur, let alone the people to carry them out. That said, the U.S. government continues to update plans begun during the George W. Bush administration for a nuclear attack on the country while simultaneously rehearsing responses. As reported by The Daily Star in the U.K., government planners believe the three most likely cities that would be targeted with a nuclear device are Washington, D.C., New York City, and Los Angeles — the two largest cities in the country as well as the most important one, in terms of governance. Part of the plan, called “National Response Scenario Number One,” involves sending in U.S. military forces in a search-and-rescue mode that will also very likely include a security mission. Disaster planners are war-gaming a nuclear explosion equal to 10,000 tons of TNT that would lead to a 3,000-square-mile quarantine, mass evacuations, overwhelming numbers of casualties, and a national (and probably global) recession. Predictions were sketched out based on a device being detonated within Washington by terrorists rather than a nuclear strike in World War 3. The possible scenario for a nuclear attack was deemed to be an improvised bomb driving into the city centre in a delivery van. 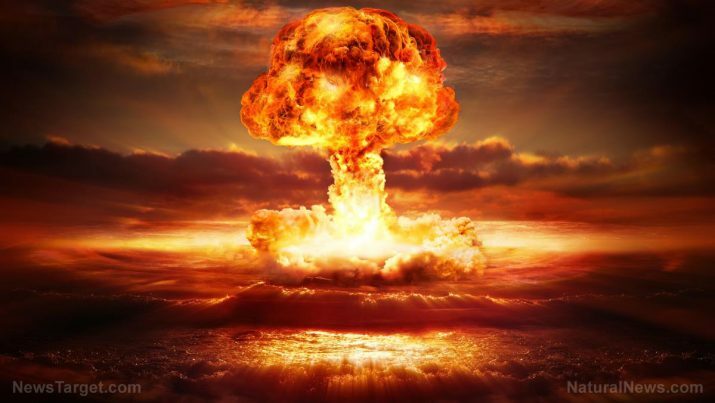 Authorities believe a nuclear explosion in the center of Washington, D.C., especially on a typical work day, would kill “hundreds of thousands” of people, according to Department of Homeland Security documents seen by The Daily Star. The explosion would create a massive radioactive plume that would spread across the region before drifting out over the Atlantic Ocean. The blast will likely be felt as far away as 150 miles, authorities believe. Those who responded first are also expected to receive “lethal doses of radiation,” according to the DHS document. Their “value” will have to be measured against whether they’ll be allowed into the danger zone, which means there is the potential that scores of people near the detonation site — if they’re still alive — will be left to their own devices. Included in the planning document is a table that lists the most common injuries and wounds that responders will see from the blast. They include radiation poisoning, of course, but also flash blindness, burns to the eye and blunt trauma among wounded survivors, which is expected to be even higher than the number of dead. What’s more, there will likely be a permanent impact on our way of life. “There will certainly be economic, political, law enforcement, civil liberty and military consequences that will likely change the very nature of the country,” it says. For more news on EMP fallout, see EMP.news.